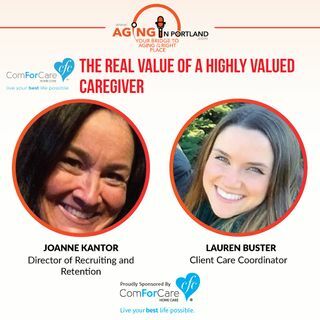 Joanne Kantor, Director of Recruiting and Retention, and Lauren Buster, Client Care Coordinator at ComForCare Home Care of West Linn, share their personal experiences and insights about highly valued caregivers. They bring two of their top caregivers with them to discuss what makes a great caregiver and why it matters. ComForCare caregivers are all about creating better days for their clients.